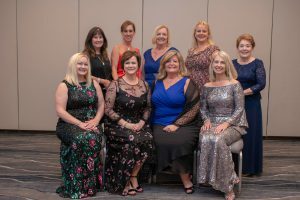 The Delta Zeta Foundation is the giving arm of Delta Zeta with a mission to advance the Sorority’s vision to be recognized as a premier women’s organization. The support of alumnae, collegians, parents and friends of Delta Zeta is needed to make this vision a reality. Formed in 1961, the Foundation is a non-profit, tax-exempt, 501(c)3 organization, and donations are tax-deductible to the full extent allowed by law. This means that your gifts not only enrich Delta Zeta and its members, but could give you a tax break as well. The Foundation is governed by a volunteer Board of Trustees comprised of eight Delta Zeta members. These eight women serve as stewards of your generosity and uphold the fiduciary, legal and operational core of the Foundation. The Trustees are supported in their work by the Executive Director, Chief Financial Officer and Director of Advancement.